Manufacturers & Exporters of Inconel Alloy 600 Pipes & Tubes, Alloy UNS N06600 Seamless Pipes & Seamless Tubes, Inconel 600 Welded Pipes & Welded Tubes in India. Inconel Alloy 600, Inconel 600 Pipes, UNS N06625 Aimed to be major industry player in the markets, we offer Inconel pipes and tubes, made from Inconel 600 which are popular for their high resistance properties of heat and corrosion. its unique metal constitution makes it suitable to be used in areas like pulp and paper making industry, re-heater, desulfurization system, places with high acidic gas environment, sulfur acid cooling. Inconel 600 is a nickel-chromium alloy used for applications that require corrosion and high temperature resistance. It is non-magnetic, has excellent mechanical properties, and presents the desirable combination of high strength and good weld ability under a wide range of temperatures. These product includes tubes and pipes, Inconel 600 Pipes, Inconel 600 Tubes, Inconel Alloy 600 Seamless Pipes & Tubes etc. These inconel pipes and tubes come in multitude of lengths, thickness and dimensions to meet the requirements of different clients. 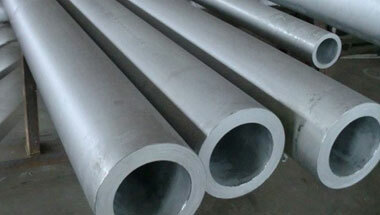 Alloy 600 Inconel pipes and tubes are offered by us in appropriate packaging. Inconel 600 Pipes, Inconel 600 Tubes, Alloy 600 Werkstoff Nr.2.4816 Seamless Pipes & Tubes, Inconel Alloy 600 Welded Pipes Supplier, Alloy 600 EFW / ERW Pipes & Tubes Exporter in India. Tunisia, Bahrain, New Zealand, London, Kuwait, Egypt, Algeria, Ghana, Australia, UK, Canada, Italy, South Africa, Indonesia, Peru, Brazil, Azerbaijan, Chine, Vietnam, Sudan, Venezuela, Saudi Arabia, Germany, Morocco, Sri Lanka, Russia, Mozambique, Colombia, Nigeria, Africa, Thailand (Bangkok), Iraq, Ethiopa, Houston, Israel, Cameroon, Angola, Mexico, UAE, Dubai, Kazakhstan, Iran, Turkey, Jordan, Democratic Republic of the Congo, Argentina, Uganda, Trinidad and Tobago, United States, Malaysia. Lusaka, Riyadh, Singapore, Mecca, Benin, Cairo, Manama, Douala, Tel Aviv, Ibadan, Omdurman, Yaoundé, Muscat, Byblos, New York, Kampala, Data from the UN, Mbuji-Mayi, Kaduna, Alexandria, Sharm el-Sheikh, Tripoli, Ouagadougou, Cape Town, Johannesburg, Mogadishu, Soweto, Tehran, Giza, Conakry, Freetown, Fez, Abidjan, Beirut, Port Harcourt, Luanda, Algiers, Doha, Bamako, Bethlehem, Brazzaville, Nairobi, Dakar, Casablanca, Durban, Harare, Dubai, Kolwezi, Pretoria, Khartoum, Colombo, Zaria, Cairo, Kinshasa, Abu Dhabi, Rabat, Istanbul, Lubumbashi, Kano, Aqaba, Subra al-Haymah, Bulawayo, Jeddah, Antananarivo, Addis Ababa, Amman, Accra, Dar es Salaam, Maputo, Jerusalem, Lagos, Port Elizabeth, Hong Kong, Dammam, Maiduguri.